Let's face it - travel medical insurance is confusing. Luckily, our friends at SafetyWing are breaking down what you need to know about your policy before you hit the road. This article is written by SafetyWing. The recommendations provided in this blog post regarding travel and health insurance are not formal recommendations made by Remote Year, but rather, best practices advised from our partner. 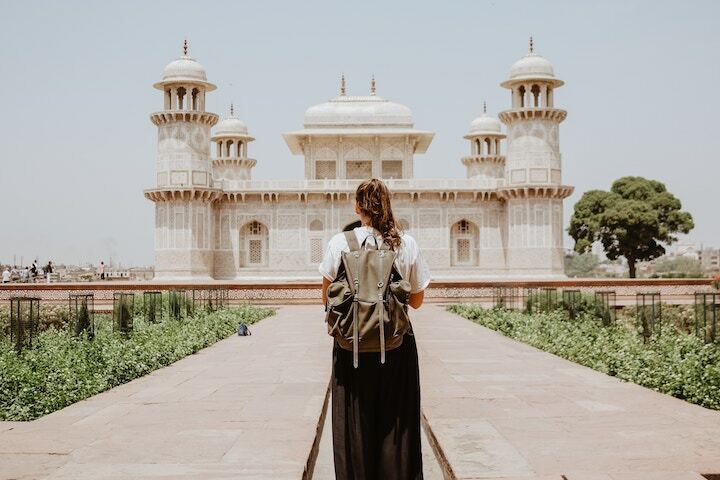 As a location independent professional or full-time traveler, the last thing that you want to think about when preparing for your next adventure is travel medical insurance. With a newfound sense of freedom on the horizon, who would want to be jolted back to the reality of worrying about health insurance? When deciding which plan you should invest in for your health insurance, you should be aware of the terms in regard to who can purchase the insurance. Know what the age requirement is for the buyer, as well as the ages of those who are eligible to be covered. Another thing to consider is whether or not a companion is covered in your plan. There are many travel insurance policies for location independent professionals that will include coverage for a friend, spouse, or partner. This is perhaps the most sought out question by remote workers who are considering the best insurance option for their particular situation. The last thing that a full-time traveler wants to worry about is having their travels and destinations limited due to their health insurance. Fortunately, SafetyWing Insurance covers travel to more than 180 countries outside of their home country. This makes worldwide travel a breeze, where remote workers and travelers do not have to worry or limit their travels due to their health insurance policy. Ensure that you are fully aware of the extent to which your health insurance covers you before embarking on your next adventure. How Long is the Coverage Good For? Digital nomads and remote workers tend to lead unpredictable lives with routines that may not revolve around an end date for their travels. Therefore, it is ideal to seek out a plan that offers the flexibility for individuals to enter a start date and pay only for an initial amount of time at first. After that initial period of time, your coverage may have the option to be extended or will be automatically extended until cancellation. This is a convenient option for full-time travelers when researching travel medical insurance plans. Are you Covered in Your Home Country? The reality is that many travel insurance policies will not provide coverage for individuals once they’ve returned to their home country. SafetyWing is one of the insurers that does in fact cover individuals in their home country on a limited basis. If the United States is your home country, for example, then you will be covered for up to 15 days for each of the 90 days that you are covered with this insurance. If the United States is not your home country, you will be covered for up to 30 days, rather than 15. This is a benefit that you should consider when looking into the coverage of different travel insurance plans. This may seem to be the most obvious question in this list, but is crucial in order to avoid future confusion and frustration. Inquire with your insurer if you will be covered for an unexpected illness or injury, for example. You should also ask if you are covered with hospital expenses, doctors, or prescription drugs while traveling outside of your home country. Remote individuals are often provided with emergency travel-related benefits in their plans, including emergency medical evacuation, bedside visit, travel delay, and lost checked luggage. Can You Extend Your Coverage? Depending on which travel insurance plan you choose, there are different policies in regards to extending your coverage if you decide to postpone the end date of your travels – which can happen quite often in the life of a remote worker. If you anticipate that you will be changing your return dates throughout your travels, then this may be an important component of your insurance to look into. Can You Cancel Your Plan? You should know what the terms are in the event that you may no longer require a travel insurance plan. There are of course the unfortunate chances that you will become sick and cancel your travels, or that something unexpected will come up requiring you to cancel your trip. In this instance, you would no longer be in need of a travel health insurance. Therefore, knowing the cancellation policy is important, especially for remote workers, whose plans are ever-changing. Should You Get Travel Insurance if You are on Vacation? You may think that even if you are just traveling for a short holiday that travel insurance is not necessary. This point relates to why it is important to be aware of what your plan covers. In other words, if your coverage also provides emergency travel-related benefits, as SafetyWing does, then it may be wise to invest in a plan. After all, no one likes having to deal with travel delays and lost checked luggage when trying to enjoy a relaxing vacation. What Is Not Covered in My Plan? It is just as important for full-time travelers to understand what is not covered in their travel health insurance, as it is to know what is covered. Ask if your insurance covers cancer treatment, for example, or routine check-ups and pre-existing conditions. Sorting out these terms ahead of time can prevent having to deal with potential issues in the future. Finally, contact your travel health insurer when interested in making a claim and be prepared to deliver evidence to support the claim. This is typically quite simple, in that most plans provide individuals with a phone number with someone available to assist at all times. Despite the freedom that comes along with living a life of travel and exploration, health insurance is definitely not something you want to take a chance on. By investing in a travel insurance plan, you will thank yourself in the long run when those unfortunate and unexpected incidents occur. Enjoy your travels worry-free while resting assured that your travel medical insurance has you covered.